These Troughs, made of polypropylene, are autoclavable and are available in different sizes. These can be used for a wide range of purposes including storage, sterilizing & drying lab ware etc. Strong plastic rectangular trough 10 x 7 x 4. For general lab use. Comes complete with a removable plastic insert with two holes for gas collection experiments. Pneumatic, glass round flat bottom. Diameter: - 15, 20, 25, 25, 20, 30 cms. Height : - 10, 10, 10, 12.5, 12.5, 15. These Pneumatic Troughs, made of polypropylene, are autoclavable and are available in different sizes. 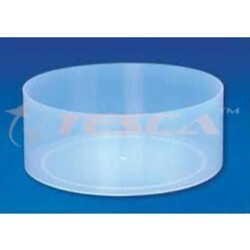 These can be used for a wide range of purposes including storage, sterilizing & drying labware etc. are available in different sizes. 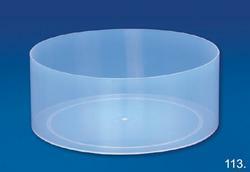 These can be used for a wide range of purposes including storage, sterilizing & drying labware etc. We are among the reputed organizations, deeply engaged in offering an optimum quality range of Pneumatic Trough. o-180 x h-60mm 6 Pcs. o-200 x h-100mm 6 Pcs. o-250 x h-100mm 4 Pcs.